Reports are circulating that Kingdoms of Amalur creators 38 Studios has shut down Big Huge Games, the developers who helped build the hit action RPG that came out earlier this year. If this is true, the shuttering of an entire studio would be the biggest bit of fallout yet from the 38 Studios/Rhode Island financial imbroglio. Big Huge Games dodged death once before two years ago after they were acquired by 38 Studios, which was started by all-star Boston Red Sox pitcher Curt Schilling. 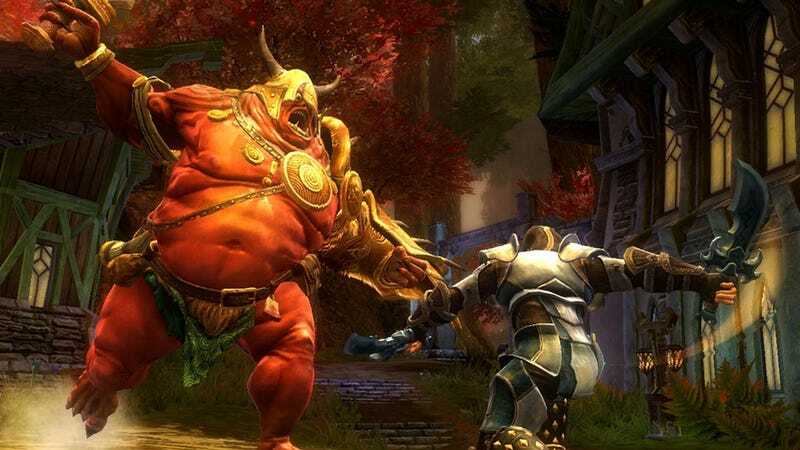 Kingdoms of Amalur: Reckoning was the first game in a planned multiplatform universe and the first glimpses of 38's in-development online game Copernicus surfaced rececently, even as the outcry surrounding the controversial loans Rhode Island issued to the company swells. The Maryland-based developer also made the Rise of Nations games and the Settlers of Catan adaptation for Xbox Live. What Were Big Huge Games Working On (And Have They Found A Buyer)? Kotaku has reached out to 38 Studios for comment and will update this story once we hear back. 38 Studios just laid off its entire staff, both Providence and BHG studios are being shuttered. We have not received a paycheck since April 30th. On May 15th, we found out we were not getting paid when our checks did not hit our accounts. Our medical insurance runs out tonight at midnight. We found this out when an employee's pregnant wife was told by her doctor, this was on Tuesday 22nd May this week. The company has not communicated anything concrete to the team throughout this process, leaving team members to figure out insurance stop-gaps (where people could afford it), etc. on their own. We'll keep updating this story as we hear more details.